It is without question that men were often given more opportunities for success in the past compared to women. Even though technology has advanced tremendously, and humans may now speak to each other from different parts of the world through a device in their hands, some bad habits don’t break, and sexism continues to be prevalent in many societies. One could only imagine how much worse it must have been long ago. Japan was also guilty of this; of giving males the privilege to study and treating women as second-rate citizens compared to their male counterparts. It would have been rare to see a woman do what would be considered as a man’s job – but one woman did have the courage to stand above the rest in her efforts to promote feminism and pacifism during the final years of the Meiji period, and that woman was Yosano Akiko. Yosano Akiko (written in Japanese as 与謝野 晶子) was born on December 7, 1878, in the city of Sakai in Osaka Prefecture, Japan. While she is known to many as Yosano Akiko, that is merely her pen-name. The name she was born with is “Sho Ho”, or in Japanese, “鳳 志やう” (Ho Sho). She was known for her controversial perspectives and work, as she created essays and poetry, fueled by her cause. She worked as an educator and writer, and her most notable work is entitled “Kimi Shinitamou koto nakare”. 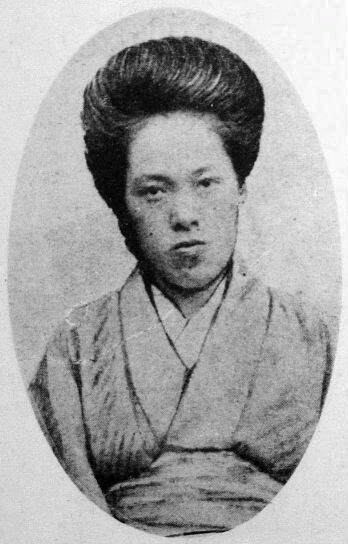 Yosano married Tekkan Yosano, who was also a Japanese author in late 19th century Japan. On May 29, 1942, a little over a month after the famed April Bombing of Tokyo, Yosano Akiko had a stroke and passed away at the age of 63 in Tokyo, Japan. Yosano came from a family of merchants, and quickly learned the trade – so much so, that she ran her family business at the tender age of 11. The business that her family was in was to make and sell “youkan” or “yokan”, which is a jelly-like dessert consisting of red bean paste. Her love for reading and writing was already obvious at that age, as she would sit in her father’s library and continuously soak in all the information. By the time she was in high school, she would contribute to “Myojo” (in English, “Bright Star”), a magazine dedicated to poetry. As luck would have it, the editor of that magazine was her future husband, Tekkan Yosano. He would take time to teach her the ways of Tanka poetry (a genre of Japanese poetry). At that time, Tekkan was already married to someone else, but he was so enamored by Akiko that he separated from her just to be with Akiko. In 1901, Tekkan and Akiko married and bore two children, both males, named Hikaru and Shigeru. In the same year she got married, Akiko compiled her very first Tanka volume consisting of 400 Tanka. She called this volume, “Midaregami”, or in English, “Tangled Hair”. Literary critics did not well meet her work (they were quite angry that she had written so explicitly and sexually about women’s breast parts) however, despite that, many people who are considered “free-thinkers” found inspiration through her work. This compilation sparked those bold enough to think independently and create Tanka freely and under their own personal measures, and in the Meiji period, this was quite revolutionary. If you’re familiar with the haiku that is created by writing 3 lines of poetry, the first line having 5 syllables, the next line having 7, and the last line having 5 again – Tanka is kind of an extended version of that. Tanka poetry is written with the first line containing 5 syllables, followed by 7, followed by 5 again, and then 7 syllables, and the last line, with another 7 syllables. Tanka poetry is over a thousand years old, and the content of most Tanka poetry usually deals with topics such as strong emotions; sadness, love, etcetera. It can also be used to express the beauty of nature, such as the cycle of seasons, and more – combined with the association or mixing-in of personification, similes, and metaphors. With this anthology, Yosano Akiko did not fail to represent the new woman at the turn of the 20th century. Midaregami (Tangled Hair) still holds the record for impressing her peers for its novelty of theme and style, identified by straight expressions of passion in a spontaneous, sensual language. Writing in Tanka and in free verse, she exhibits to each reader the most striking expressions of self-assertion of her sexuality and her body as a new woman, which was completely unconventional. The most defining air of Yosano’s poetry is the person gazing at her own body, admiring, and cherishing it. Perhaps it had taken some courage for a woman at that time to brazenly state that a woman’s beautiful body was not just for a male to behold but also a body to be gazed at and admired by her own self. Then again, many of the poems written here were for Tekkan Yosano or at least inspired by their love. 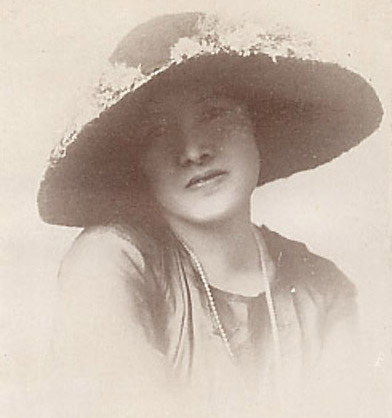 During the Taisho regime, new roles for women under the title “New Woman” were under constant debate because these were diametrically opposed to the traditionally accepted Meiji-era role of “good wife and wise mother”. The argument over “protection and support of motherhood” was always the point of convergence of differing views among Japanese feminists. Yosano Akiko did not stop there. As she went on, she wrote many more anthologies – 20, of them, in fact. Some of the titles of these Tanka Anthologies are “Mahime” or in English, “Dancer”, and “Koigoromo” or “Robe of Love”. While she married the editor of a magazine that she had once enthusiastically contributed to, he was outshined by her outspokenness and boldness to create daring work that was sure to leave traditional writers aghast. Tekkan, however, remained devoted to his wife and continued to support her in all her literary endeavors. Considered today as an outstanding female poet of modern Japanese literature, Yosano was serious about writing poems. In one sitting, she had to capability to write at most 50 poems. If one were to add up just how many poems Yosano had written in her lifespan, the number would amount to upwards of 20,000, all the way up to 50,000. It doesn’t stop at writing poetry, though – she wrote books too – 11 of them, all in prose. Dedicated to giving more girls the opportunity and inspiration to delve into the world of literature, she teamed up with a group of people – two of them, Kawasaki Natsu and Nishimura Isaku, to establish “Bunka Gakuin” or Institute of Culture; a school (initially) just for girls. Naturally, Yosano was both chief lecturer or teacher and Dean for this school, fulfilling her goals and advocacy of offering education to women. Akiko was so adept in language that she even translated classics, producing the Newly Translated Tale of Genji, or “Shinyaku Genji Monogatari”, and Newly Translated Tale of Flowering Fortunes, or “Shinyaku Eiga Monogatari”. As a pacifist, Yosano wrote a poem called “Kimi Shinitamou koto nakare”, (君死にたもうこと勿れ) right in the thick of the Russo-Japanese War. In English, this was known as “Thou Shalt Not Die”, - she wrote it for her brother who worked in the Imperial Army, and publicly published it. She was moved at how her brother, who was a part of the Siege of Port Arthur, could have possibly been one of the “human bullets” they had used, wherein the soldiers had explosives strapped to their bodies, sacrificing themselves to destroy the barbed fences of the opponents. This completely went against the concepts under “Bushido”, where soldiers should be glad that they’re sacrificing their lives for the Emperor. In the poem, she reminds her brother that their parents did not raise him to kill people, instilling a sense of guilt about how he cannot leave their already widowed mother by dying for an emperor who never even put himself in harm’s way for his country. Her illustration of the war as useless and stupid irritated many important people in high positions, with legitimate attempts made to ban her work, and would be used decades later by university students for protesting in later wars. As for “The Day the Mountains Move”, this poem, featured in the initial issue of the liberal journal Seito in September 1911, touched more on the issue of creating equality in rights among both men and women. Yosano likened women’s creativity to a volcano; when women’s collective creativity is inactive, it is like a dormant volcano, as it had been for many years— “for a time, the mountains have been asleep”. But the mountain could erupt at any moment, and it will erupt because it is inevitable. And perhaps the longer it stays dormant, the more power it stores, and more physical damage will result. Similarly, for women, when the eruption occurs or when the change comes, the further reaching, deeply rooted and permanent the resulting transformation will be. The analogy seems to be that just like a volcano, women are amassing power while they are dormant. The impending change may not be visible to the eye, but appearances are sometimes deceptive. “All the sleeping women/ Are now awake and moving”. Here she talks about how women already dream so often about so many other things and hints that motherhood is just one of the many things that women would dream experience. She continues to explain how it cycles back into what women are programmed by the patriarchy to think, as they should be a mother first and foremost before being anything else, which is not realistic and not healthy. Lastly, she finishes by saying that all the roles should be given equal merit, whether that’s claiming independence and getting a job, or raising a child. 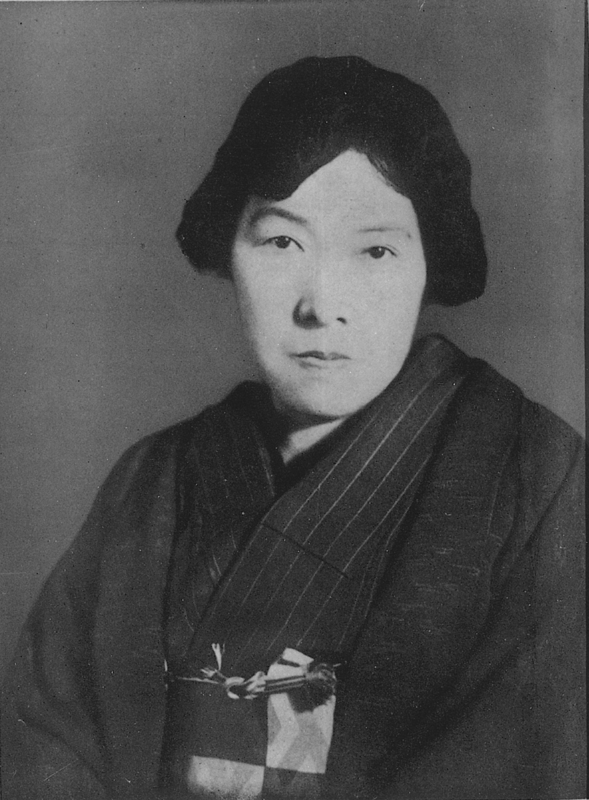 For financial independence, for instance, Yosano wanted the economy to support mothers in such a sense that they did not have to depend on either their husbands or the government. She would then become a slave to the man she is dependent on, doing anything to please him just to get more money. This was such a controversial topic, that even other feminists at that time disagreed with her, insisting that the government should still help mothers.